If you like leather front sweaters, don't settle for the those styles that don't have real leather on them. Go with the real deal by Steven Land. 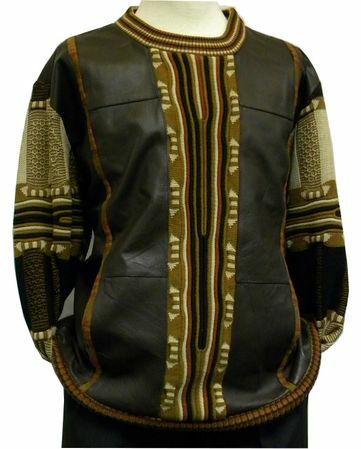 These fine lambskin leather front Steven Land sweaters feature everything what Steven Land is all about. Brash bold flavor. Stay stylish my friend.